Brain. 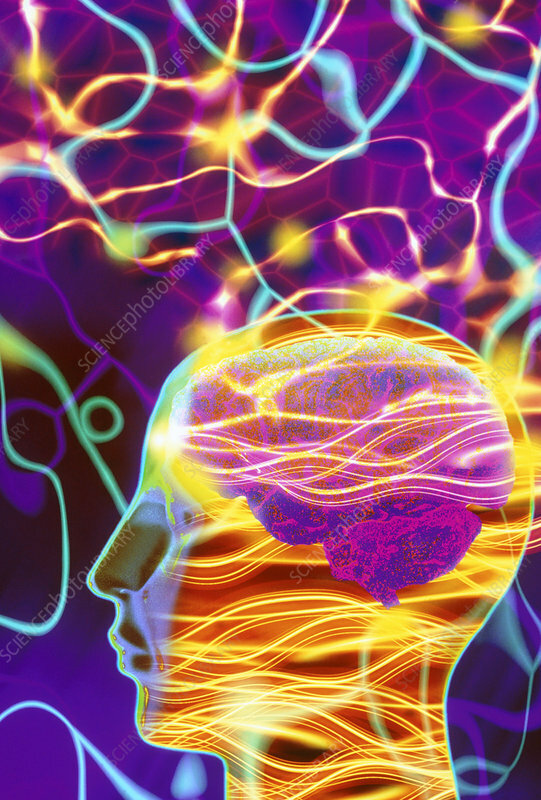 Abstract computer artwork showing the silhouette of a human head with brain, and light trails. The trails of light may represent thought processes or a brain dysfunction like epilepsy.